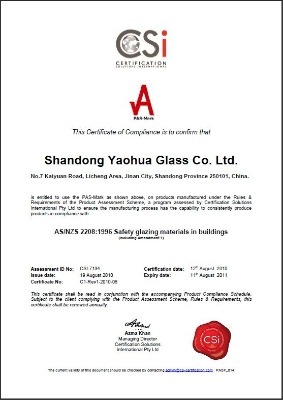 Company Overview - Shandong Yaohua Glass Co., Ltd.
12YRSShandong Yaohua Glass Co., Ltd.
Shandong Yaohua Glass Co.,Ltd, with many years continual development and grandness, has become a modern glass deep processing enterprise. It has the glorious title of Jinan famous trademark, Jinan famous brand products and Shandong Province famous trademark. Which has three large workshops, and with permanent assets 80 million RMB, 40 thousand square meter business place, more than 300 staff, the turnover is more than hundred million yuan. The comprehensive power comes out on top of China. 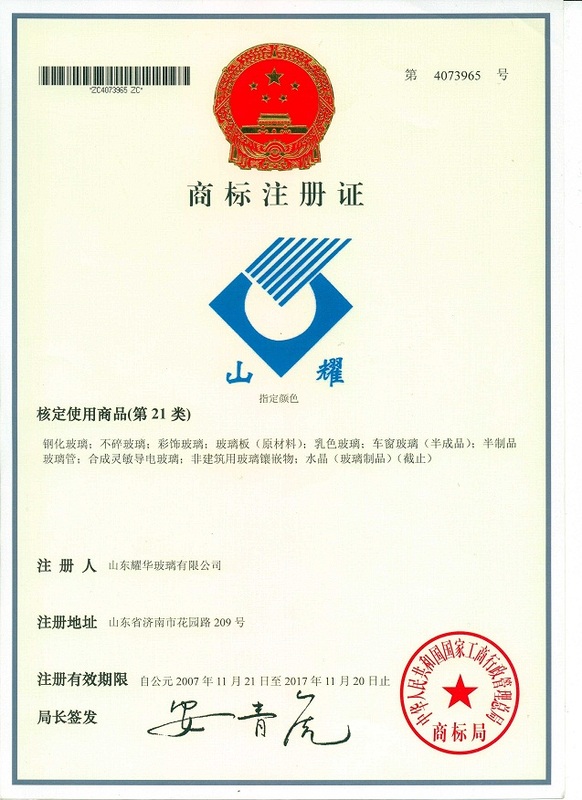 Our company has ISO9001:2000 Quality Management System Certificate and CCC certificate, National energy-saving product certification, and it is the enterprise technology center of Jinan city, it has two national patent certificate .Export products got the Australian standard authentication AS/NZS2208:1996 and the European Union standard authentication CE-EN12150 and the GSP certificate of origin. Production depends on LOW-E glass, tempered glass, insulating glass, laminated glass, silkscreen glass, hot bent glass, bullet-proof glass, 15mm, 19mm over size glass and other kinds of deep processing glass.